Here are some comments from our correspondence of the value of this ministry at revealing the truth about the God of the Universe and of the Gospel during the first few hundred years of Christianity and of its effectiveness to help and change lives. Some people appear to have the opinion that our findings or beliefs are radical or heretical and unorthodox. Yet we are trying to bring to light what the ancient people like Abraham and Moses, and what the first apostles and Christians really believed about God, Jesus, angels, the Holy Spirit, salvation, holiness, Heaven, Hell, sin, and the Gospel/good news during the times when the holy writings were actually written down and copied from one language to another. We believe that heresies and misconceptions occurred at times during the first few hundred years of Christendom/Christianity, especially under the dominion of the Roman Catholic Church and their Vatican rulers. Their influence has been so pervasive that most of the world does not really know the truth about God, Jesus, the Holy Spirit, Heaven, Hell, and the necessity of salvation through trusting or having faith in the shed blood of Christ Jesus, and living a life of holiness, otherwise one's name will not be found in the Book of Life in Heaven. Those who are not worthy of Heaven will find themselves destined to the damnable area of Sheol, called Hell. During the time of Martin Luther, he realized it was a time for a reformation but since then, more light or revelations have been provided by God to correct a few more errors of doctrine in the Church which has been hindering the ability to win many of the lost that are in Roman Catholicism, Islam, Buddhism, other false religions and has brought about many factions in the Protestant Church groups. We need unity and this ministry has been raised by God to help bring this unity about. Our main motto has been "to contend earnestly for the faith which was once delivered to the saints for certain men have falsely entered among you . . . ." (Jude 3-4 (Lamsa translation). What have they done? They have distorted the truth about God and the understanding of the Holy Bible and of the Gospel. We therefore would like to show what some people have to say about our interpretations and the revelations that God has given us to reveal what the ancient people really believed and the benefits of knowing these truths. You will read how many have been blessed and saved through God's work in our lives at trying to lead others to the truth and to their salvation. We therefore plead for your prayers and financial help that we might finish our translation work, provide Bibles and other literature to those in need so that they will be saved, delivered, and healed. Please help us reach the lost for God the Father who loved the world so much that He gave his unique son, Jesus of Nazareth to be our Saviour and Lord, that the lost might be saved, be in Christ's Kingdom on Earth right now and go to Heaven later, when they die. Please help us help others to know and experience the truth of God's love for them. Here are some of the letters that we received but as we did not ask permission of the writers to post their personal letters to us we have deleted parts of their names. If later on, when we have the time to request their permission we will post their names. I am sorry we were not able to help you with any money for those mosquito nets. I pray that you were able to get help from another Christian ministry. We are just three old age pensioners who hardly have any money to spare. We also changed our email address to truthandlight@mts.net. So please do not use the old one anymore because I am trying to figure out how to shut this old one down as I do not have much time to attend to this old email account anymore. I pray that you had faith enough to believe that God would heal your sick children and any others of your congregation that came down with malaria. If you go to https://emmanuel.tv/, https://www.scoan.org/, or YouTube.com and search for TB Joshua or healing miracles, you will be able to build your faith to believe for similar miracles too. Greeting to you in the name of Jesus Christ. I have gone through your wonderful website! We are blessed with your Ministry! We are praying for you and your family. We are going to arrange the Pastors Conference and Revival Outreach Meetings in Month of May 16th to 22nd-2016. We would like to invite you one of our keynote Speaker of our upcoming Meetings. We request you kindly come to India to preach the good news of Jesus Christ. India needs the word of God and Needs His salvation. Please bring the good news of Jesus Christ to our nation. Please encourage us with your preaching and teaching. Please pray for all our orphans and widows. Please greet your family! We would like to hear from you soon. Hello. I am F...... Q...... from Pakistan. I am a translator for Urdu and Hindi languages. I can translate books, articles, sermons, audios, videos, websites, booklets, blogs, etc. Greetings in Jesus Name our Lord and savior the soon coming King. I was very much impressed to discover your ministry and your excellent teachings of Jesus Christ that you provide to your saints for effective and comprehensive Christian faith- based, and on behalf of our bible study group send prayer request to consider our request of receiving your teachings and welcoming you to visit and conduct a seminar in our humble church. We are a small bible study group that works on helping needy children who are orphans and widows also we keep bees and chickens as project that supports to meet needs of children. We need a spiritual leader and guidance for the Spiritual growth as it is written in the Bible. Group of Men and women that met and share the word of God from the Bible. Will be happy to read from you when the Lord our father allows you! Greetings of New year 2016. Thank you for the love and concern so evident. We conducted the service today very wonderfully and thanked God for the love and protections and for the New Year 2016. We appreciate every prayer from you brother. We all happy for you likewise pray for you. The children we care of are of God and believe He plans well for them because His plans are good to us. Plan to prosper, Jeremiah 29:11. It’s great you managed to help some orphans of Salvation Army. Thank God for your heart of love and mercy to children like these. 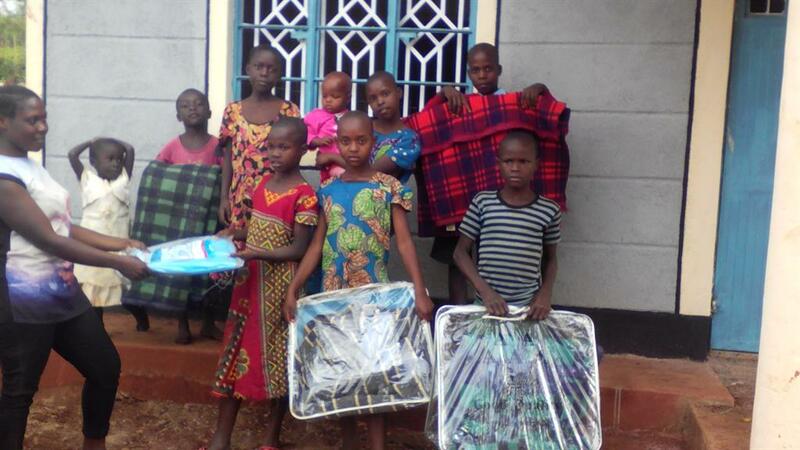 The orphans under our care do face many difficulties more especially food and clothes. I pray in the Lord if get any help just little like $100 or 150$ can be great support to purchase some food. Most of the time we depend on our small project that of chickens keeping project. Also we work on our small garden to meet other basic needs for these orphans, but are not enough to feed these orphans. God bless you each day. Am requesting you if you meet any friend there, please recommend us may be God can use him/her to be such blessing for the orphans. Do you have Skype? Please let me hear from you in Jesus name. Have a happy new year and a trip of many blessings, Greet your wife for us please. 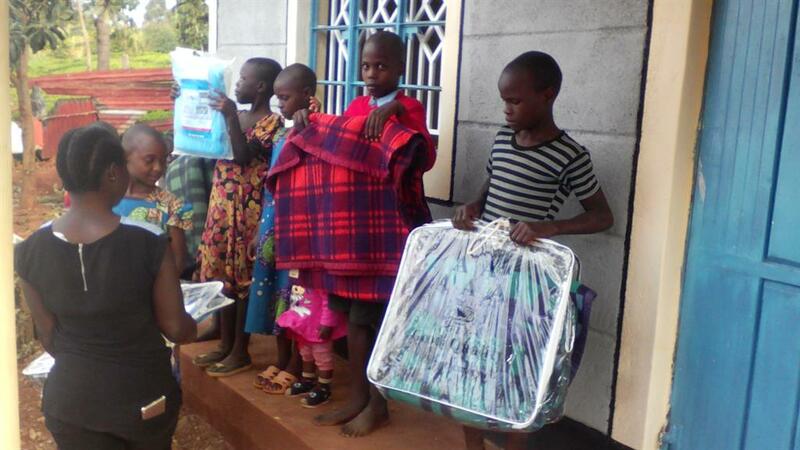 Our children enjoyed the night through the blessing of net and blankets donation you sent. Its not small when riches here, God do accept and appreciate whatever given to His work. Again, thank you for the check up list of the different Bible translation. Pass our much appreciation to your neighbor friend whom God used to bless His work there and here for our young children in the orphanage. Will be glad to here if the photos received you can as well share this pictures with him/her/ neighbor. i pray for you daily.AMEN. Please send us photos of what you were able to purchase for the needs of your children. Truth and Light Ministries Inc.
Church Office Phone: (44) 703 193 …. through 19th of Feb 2017.
provide you with additional information you might require. PS: Flight arrangement, hotel accommodation, ground transportation and honorarium will be sorted by the event organizing committee. plz send me bible study literature or in soft copy. Please pray to our Lord and Savior that He will bless me with unprecedented meteoric rise in my life. Shalom ,I Pastor P..... R..... K.....from India , I praise and thank the Lord for giving me this opportunity to write to you and to share with you about what the Lord is doing here in India through us. My heart is filled with praise and my eyes with tears as I saw your website and read about your ministry and activities and how the lord is using you for bring joy and comfort in to the lives of the multitudes. I am sending this email with a great hope in God and trust that He will surely bring it to pass what has been our hearts desire and vision for many years. I run a small ministry called Grace Children Ministries (GCM) in state of Andhra Pradesh in South India. Our mission is exist to rescue and care for orphans, destitute children and widows in India, as well as reaching the millions by sharing the gospel. Since 2006, I have dedicated my life to serving the orphans and widows.I was visiting rural areas doing evangelism and received a good response. By the grace of God I was able to lead many souls into the presence of the Lord Jesus Christ. However, I saw a great problem. I saw many orphaned children, disadvantaged families, and vulnerable and destitute children. They had no education and no food to eat. They were roaming the streets and slums. I saw them lying on railway platforms and at bus stations begging for food and work since they were homeless and fatherless. Deep inside in my heart is a burning desire is to help and serve them, like what Jesus do when He ministered to the people, He is ministering through Spiritual foods, feeding the people with material food, because he knows that people love to be care as Jesus cared for all of us. By Gods grace and through His help, According to the Scripture of James 1:27. I started a “Love In Action Children’s Home” for the neglected, abandoned, underprivileged, destitute and orphaned children to show the Love of God in Action .This home is operating under Grace Children Ministries (GCM). Currently there are 34 destitute children ( boys and girls ) between the ages of 4-16 in this home. With God’s love we rescued these children from streets and slums. Some were found as I did my gospel work. We provide food, clothing, education, medical care, and shelter in a loving environment, as well as teaching the love of God. Although God has been very gracious, But It is very difficult to meet the needs of these children given the pathetic conditions here. sometimes the children still go to bed hungry. The children weep and pray for their daily needs. I am running this home only by faith in God alone. We face many difficulties at the orphanage in providing the basic needs such as food, clothing, education, etc every day. These children desperately need your prayers, love, compassion, mercy, and financial and spiritual blessings so that they can grow in love to become adults who share God’s mercy with others. Please pray for these little ones. They strongly believe that God will hear their prayers and send someone like YOU to help them. Amein. Our desire is that this ministry would bring honour and glory to our Heavenly Father. Please pray for us and the needy children He has placed in our care. We pray for you, your work, and your blessed family members. All the Love In Action children, GCM widows, pastors, school staff and my family join me in sending you best wishes, love, and greetings. If you are willing and able to help sponsor us we would be very thankful. Thank you, again, for considering my request to support Love In Action Children’s Home and look forward to partner with Grace Children Ministries. I wait for your blessed reply. we also inviting you and your team to visit our ministry in India. God bless you and your work. welcome to our ministry sites! God has answered our prayers. One of my neighbours in Ethelbert gave me a donation to our work so we just sent another gift of $40.00 Canadian towards those mosquito nets and blankets or whatever is your greatest church need. I know it is not much but we need money to live on as well. Praise God we can help you in this small way. I sent it via Money Gram #15734076 for the amount in your money of 2926.27 to Z. O. T.. Thank you very much for your encouraging letter about our ministry to share the truth about God and man's need of salvation through God's sacrifice of his special begotten son Jesus, the Anointed One and our efforts to share this through our Website of http://truthandlightministries.org and the alternate website name of http://tlm79.org. I noticed that one or more of our writings at our website needs to be updated from our old short name of tlm55.org to the above tlm79.org, which agrees with our address of P. O. Box 79, Ethelbert, Manitoba, Canada R0L 0T0. Regarding Affiliation with us, thanks for your request and the honour of wanting to be associated with us. That is very nice but our funds are very limited. We can only really help you according to what God blesses us. For now you are our friends in Christ Jesus. Where is your church in the world? How did you find our website? Was it through a search engine and if so, what words did you use to find us? You are welcome to print up any of our articles and to share them with your friends and congregation. Every now and then we work on different projects to clarify different topics of the Bible and to meet the needs of the public to understand the Christian life better. We are blessed with a number of great resources to understand the Bible times and the languages that were used initially to write God's message to mankind and the languages that were used to first translate the original manuscripts or autographs of the Holy Scriptures, so that the surrounding countries could also be blessed with God's message to the world. These versions, mainly Aramaic, Greek, Coptic, and Latin can give us great insight as to how those early Christian believers understood the Hebrew Bible and the Aramaic New Testament. They should know better what the first disciples wrote of Jesus and of what he meant about Himself, His Father, Holy Angels, and the Holy Spirit than the Christians hundreds of years later, because of the tendency of people to back slide and misinterpret the early writings with their immediate up bringing and their possible heathen beliefs. Note that it does not say exactly how long a little while or time (other translations) will be but the phrase a little season (A. V.) of days is ninety-one (91) and with regards to prophecy this is could be understood as years so 1926 + 91 years = 2017. As we are now in 2018 and the prophecy of Isaiah 24 of the world turning upside down (A. V.) has not come to pass, we still have some years left but perhaps not too many, like maybe only twenty or thirty years. In other words, time is almost up for the destruction of planet Earth by a comet, asteroids, and meteorites and by mankind and their weapons of mass destruction. Another meaning for this little while or little season could mean that instead of mankind being allowed to live at ease right to the 6000th year (2018 = 5905 years [shown below] of man on Earth + 95 years on to 2018 would equal A. D. 2113) but that this time of ninety-five (95) years will be shortened to a little season or much less, like maybe to seventy-five years. Jesus wants mankind to be prepared for his sudden coming for any and for each of us. Jesus' disciples should be trying to win the lost at all times, before the end suddenly comes with great distress to mankind because of nuclear explosions or bombardments of comets or asteroids. God does not want people believing that all will be well until that year that we may think will be the end. He wants people on Earth to be be concerned about dying without having salvation or eternal life. He wants people to get ready now, because people are dying all the time through illness, accidents, or through violence in society or in war. God wants each of us to be concerned about one another and to try to win our neighbours for Jesus by pointing out signs of the times. Signs indicating that time is short and that the prophecies of the Bible about the end times are becoming obvious, regarding wars and rumours of wars (Matthew 24:6) and of mankind destroying the Earth (Rev. 11:18). We will try posting some more of our articles so that you and others can understand the Bible and what God has plans for us. I have to work at part time jobs now and then, so I have not been able to take care of our website as it should be in order to increase the ability for people to find us or the topics we discuss. We therefore need your help and others in prayer for us to fulfil the mandate that God has given us to "earnestly contend for the faith which was once delivered unto the saints." (Jude 3d AV). Please remember us in prayer and we will also remember you and your loved ones in prayer as well. Postage is very expensive so it is best for us to simply post articles on our website. If you have any questions about the Bible, please feel free to ask for help. We will try our best with God's help to help you with your questions. teaching me more about this truth of the bible.